The European Sign Expo 2018, the dedicated event for non-printed signage which took place from 15th to 18th May 2018 in Berlin, Germany achieved significant year-on-year growth, celebrating its largest and best-attended event to date. Total visitor attendance at European Sign Expo 2018 increased by 26% compared with the 2017 edition in Hamburg, with 9387 individual visitors to this year’s exhibition. This figure includes those who travelled to the German capital specifically for European Sign Expo, as well as cross-over visits from sign makers and other visual communications professionals attending the co-located FESPA Global Print Expo. With 115 exhibitors, European Sign Expo 2018 was almost 50% larger than the 2017 edition, and demonstrated three-fold growth over the six years since the event’s launch. The expanded event drew a global audience from 97 countries, consistent with the growing international reach of the wider FESPA exhibition. 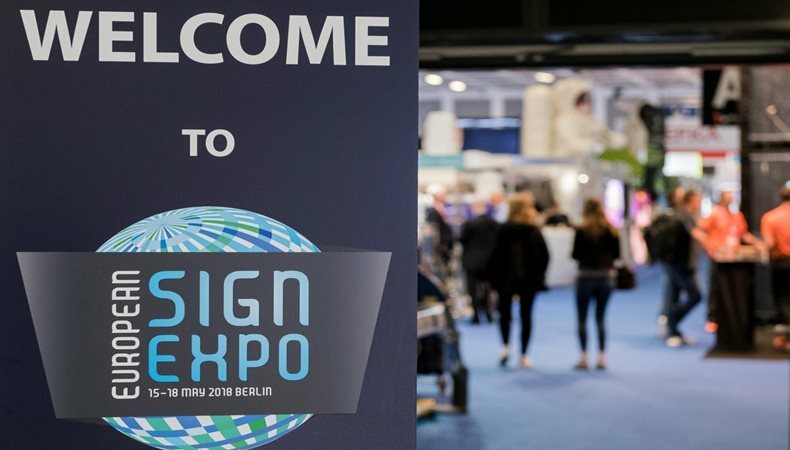 The leading countries in terms of visitor groups to European Sign Expo 2018 were Germany, the UK, the Netherlands, Poland and France, with visitors travelling from as far afield as Australia for access to such a significant concentration of suppliers and technical expertise at a single event. European Sign Expo 2019 will be co-located with FESPA 2019 Global Print Expo at Messe Munich, Germany, from 14 to 17 May 2019.